Ear Protection Products offered by our company are highly reliable and durable and are used in various industries for specific applications. We design and develop our range of ear protection and products from high quality material for ensuring strength, UV stability and long performing life. We have been catering the demands of industries like chemical, construction, road transportation, factories etc with our range of products. Being a reputed name in this domain, we are dedicated to offering an assortment of 3M 1110 Ear Plug. Extensively demanded its perfect fit; the given product is used to avert noisy environment owing to its high noise reduction ability. These are easy to use and washable. 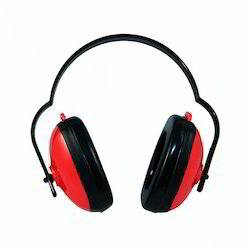 As a quality driven enterprise, we are providing to our clients an exclusive range of 3M 1426 Ear Muff. These are demanded in mining and construction industries to offer resistance from the high decibel sounds and to prevent dust enter in ears. These are quality tested before delivery to ensure its superior quality. Banking on our industry knowledge, we are offering a vast gamut of Venus H101 Ear Plug. 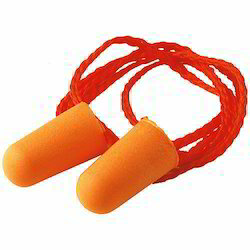 The offered ear plug is manufactured by our workforce by using best quality soft polyurethane foam and latest technology. 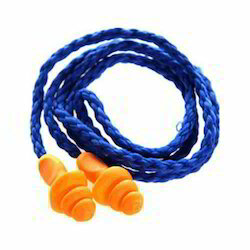 Offered ear plug is highly valued for its unmatched features. Additionally, this ear plug is quality tested on numerous parameters to assure flawlessness. With the aid of our skilled professionals, our firm is involved in offering a quality range of 3M 1270 Ear Plug. The given product provides high resistivity to extreme noise condition. These are designed with precision and are appreciated for their dimensional accuracy and high comfort.